Throughout our life the foods we consume impact our health. Subsequently, emerging research is showing certain foods may promote cognitive health as we age. The MIND diet, which stands for Mediterranean-Dash Intervention for Neurodegenerative Delay is showing that those who follow this diet over time had less cognitive decline, such as memory problems. The diet is appropriately named as it combines aspects of both the Mediterranean and Dietary Approaches to Stop Hypertension (DASH) diets which both have been recommended for those with cardiovascular concerns. All three diets emphasize plant-based foods and encourage us to limit intake of high saturated fat foods like red meats, fried foods, butter and sweets. Aim for 2 vegetable servings per day: make one a leafy green vegetable. such as a spinach salad. 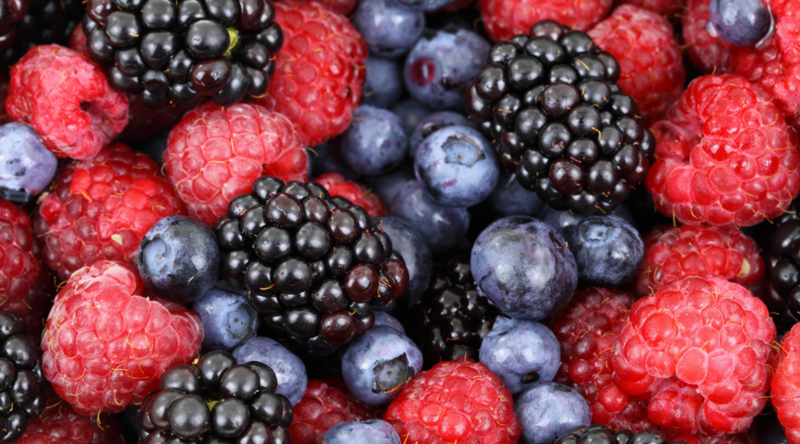 Add 2 berry servings per week: have as a snack or dessert option. Include at least 1 fish meal per week: try grilled or steamed salmon. Savor and enjoy every bite knowing you are fueling both your mind and body well.